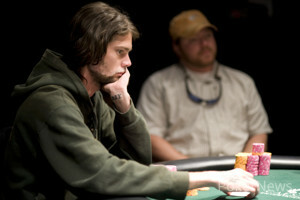 Hand #86: Brent Wheeler raised in early position, and won the pot. 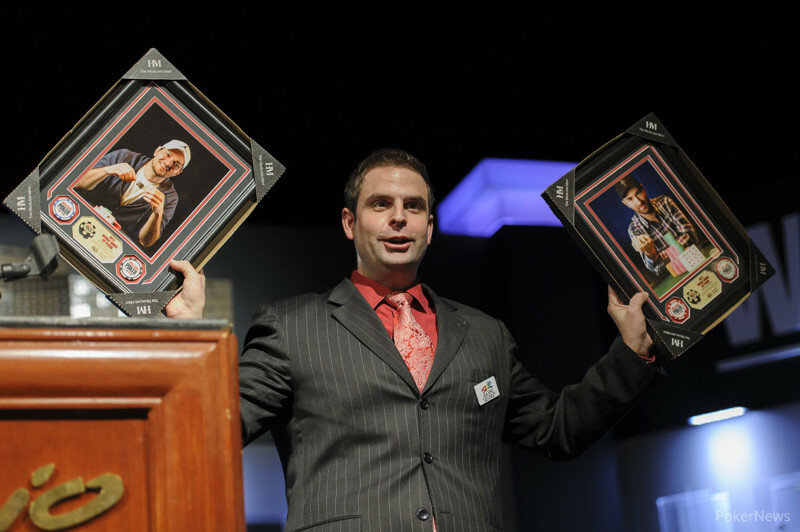 Hand #87: Wheeler raised from under the gun, Mark Mierkalns three-bet on his direct left, Grayson Scoggin four-bet on the button, and Wheeler called. Mierkalns capped it, Scoggin tossed in his remaining 7,000 chips, and Wheeler again called. The flop fell , Wheeler check-called a bet, and the turn was the . Wheeler checked, Mierkalns fired out a bet, and Wheeler tank-folded. "SHOW THEM ACES!" someone on Mierkalns railed yelled. Sure enough, the Canadian showed for a set of aces. Scoggin was drawing dead with , and hit the rail when the completed the board.